SPECIAL ORDERS: Bruise-Be-Gone™ may be ordered in a 5ml bottle for dilution with Jojoba to be applied to larger or multiple areas on the body. Also available as a 15% pre-dilution in a 15ml bottle. Email for pricing. 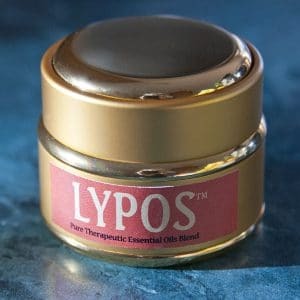 2007 INTRODUCTION: Analgesic, anti-inflammatory, anti-infectious, Bruise-Be-Gone™ our all natural remedy relieves pain & discomfort, reduces SWELLING, speeds the absorption of BRUISES & HEMATOMAS, and heals SCRAPES. Formulated from 100% pure CITRUS & LAVENDER essential oils blended with other therapeutic essential oils. 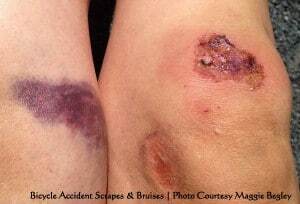 Bicycle accident scrapes & bruises ~ typical injuries that could be helped with healing essential oils. 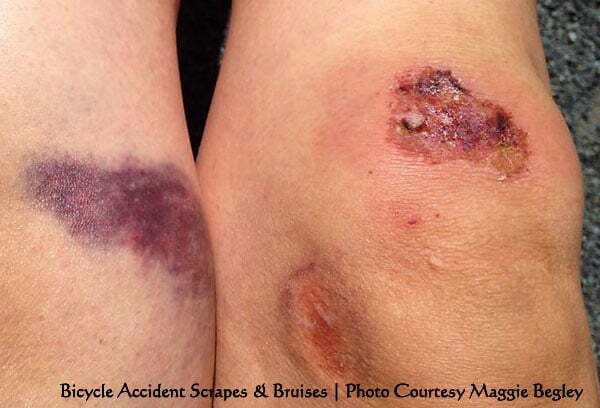 Bicycle accident scrapes & bruises are typical injuries that could be helped with healing essential oils. I developed this blend for a stubborn bruise on my upper thigh from a bicycle fall that wasn’t fading after several weeks. The essential oils help dissolve blood clots, stimulate the lymphatic system to clear the tissues, minimize scarring, and heal the skin. superficial VARCOSE VEINS, and if used consistently may fade surface varicosities over time. Consider Back-Up™ and Weekend Warrior™ for sore muscles. Bonz™ for joint injuries or broken bones. 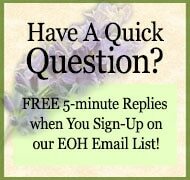 ~ Helichrysum Essential Oil Heals Life’s Bumps & Bruises…Almost Magically! 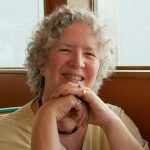 Photo: Please visit Maggie’s wonderful blog The Spirited Soul, which features inspiring, thoughtful articles, not photos of her scraped knees! PM/In the evening after dark, apply blend generously over injured area. AM/It may be used as often during the day as needed, but applied UNDER clothes where skin will not be exposed to sunlight. CAUTION: The blend is 33% photo-sensitive citrus essential oils which are amazing in their healing properties, but can cause skin damage when exposed to the sun.